Window shutters Redditch by Just Shutters – offering the widest range of beautiful interior shutters in the UK. We provide the finest choice of materials and finishes, coupled with great value and outstanding service. Andy Cox-Peel is your local shutter specialist. Andy has a love of carpentry and eye for design. His passions combined when he became MD of Just Shutters Birmingham. 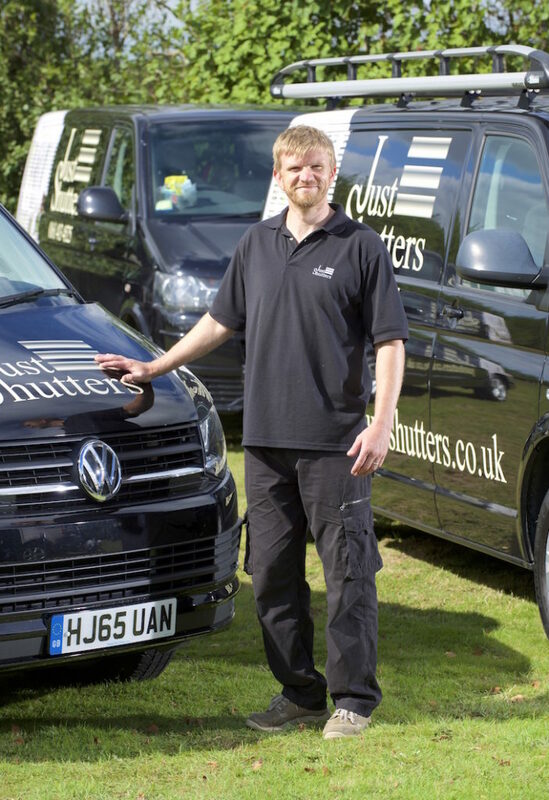 He is dedicated to bringing local people the very finest shutters, quality and value. Plus all our shutters are backed by our lifetime guarantee. Call us on 0121 227 4183 for more information or to arrange a free design consultation. Plantation Shutters are a stunning looking, incredibly versatile window covering that can fit any shape window or door. Made to measure they are designed just for you, to match any room, colour scheme or design choice. While their looks and aesthetic charm attract people to Plantation Shutters, their beauty extends far beyond being pleasing on the eye. The privacy and security, the allergen and noise reduction, the light control and hard-wearing nature of shutters will keep you falling in love with them for years to come. While shutters are seen as a luxury window solution they also offer great value. Shutters reduce heat loss and improve energy efficiency. They stay with your home on moving so add long term value. Shutters do not require laundering and can last a lifetime. So confident are we, our shutters come with a lifetime guarantee! Our customers frequently ask about the cost of shutters – ‘are shutters expensive?’ being a common question. Shutters are not as expensive as one may think, in fact they are fantastic value for money! Shutters are incredibly durable and therefore they are long-lasting, this results in the cost is spread out over the many years they are in your home. Furthermore, shutters even increase the value of your home! Click here to use our price calculator to get an estimate of how much shutters would cost in your home. We are the shutter specialists. Shutters are all we do. They are not a side product or afterthought, they are our pride and passion. This is why we provide the largest selection of internal plantation shutters available offering you the best product at great prices. We hope you enjoy browsing our website, you can find our price calculator by following the link on the top right hand side of this page. You can browse our image galleries for inspiration or call us on 0121 227 4183. We look forward to hearing from you. 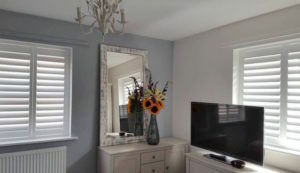 Plantation shutters in lounge and bedroom. Shutters fitted in bathroom, kitchen and landing.